Our sunday services are now posted and should be current to this last Sunday. You may wonder why I am late getting these posted. I wanted to take a moment and explain how the posting process works. Because I anticipate that these sermons will be listened to by podcast on a phone I want them to be small but still full of the feel of our church. This means I spend some time listening to the recording and deciding what to remove and what to include. This is a prayerful process and I try never to remove any of the message of the sermon. For the most part I do not listen to the whole sermon because I don’t have the time but I look at the wave from and try to find areas that may be long silence or recording damage to remove. This editing mostly consists of removing songs, because we don’t have a license to publish them, and personal stories during the pre-sermon prayer requests. 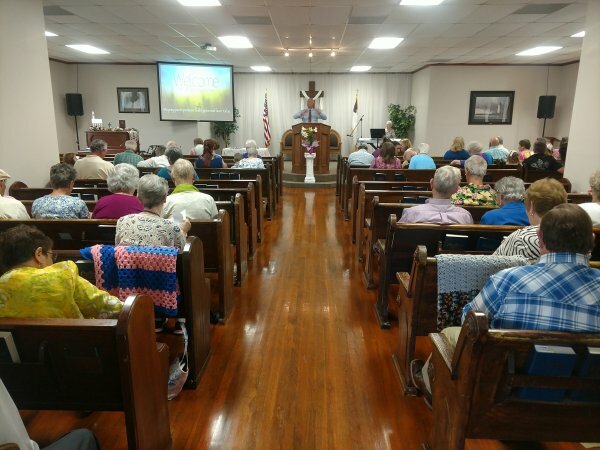 The pre-sermon period is mostly removed because the Pastor feels this is somewhat private to our congregation and because currently the recording quality is quite poor with the lack of microphones for the congregation. This may change at a future time, and from time to time if I can save something pertinent to the message which is not clearly private I do include it. The file is then compressed into a smaller format so we can afford podcast hosting and uploaded to our hosting service. If you have questions, comments, or complaints about the podcast please share them with us. This is a new process and we are learning it as we go. Contact leadership at the church with any suggestions.